Manitowoc County is located in East Central Wisconsin between Lake Winnebago and Lake Michigan on the east middle part of the state with frontage on Lake Michigan; one of the Great Lakes. Manitowoc is known for its big lake fishing, fine dining, sun rises, public beaches, swimming, boating, site seeing, golfing, Farmers markets which also has Maritime Museum, Two Creeks Buried Forest State Natural Area, Cherney Maribel Caves County Parks, Lincoln Park, Manitou Park, Silver Creek Park, Fischer Creek Conservation Area, Manitowoc River plus a couple communities including; Reedsville, Collins, Tow Rivers, Newton, Kiel and Manitowoc. It's surrounded by 4 other Counties; Kewaunee, Brown, Calumet and Sheboygan. On this site you can search for Waterfront Restaurants, Steakhouse, Seafood, Diners, Cafes, Fast Food, Pizzerias, Eat Stands, Barbecues, Buffets, Coffee Houses, Bars & Grills, Pubs, Taverns, Family Style, Burger Joint, Ethnic Restaurants, Casual Dining, Food Truck Services, Other Restaurants; Greek, Italian, Mexican and more... located in this county, listed by a real estate agents. 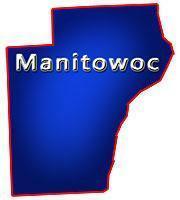 Manitowoc County, Wisconsin GIS MAP Information!